The most delicious Crispy Potato Stacks you'll ever make! These potatoes are buttery with the crispiest tops and bottoms while the center are soft and tender. This is the perfect side dish for everyday meal, holidays or special occasions, just like Crispy Leaf Potatoes. What is a Potato Stack? Potato stacks are roasted potatoes stacked up vertically, usually in a muffin tin. The potatoes are sliced thinly, arranged and stacked one over another to form a stack. This Crispy Potato Stacks recipe is absolutely delicious, rivaling the crispy leaf potatoes recipe, except that they come in individual stacks, crispy tops and bottoms, and is probably my new favorite side dish now. After baking and roasting in the oven, every layer of the potato stack has golden brown and crispy edges and bottoms. They are basically the best homemade potato chips baked in a muffin pan! How to Make Potato Stacks? 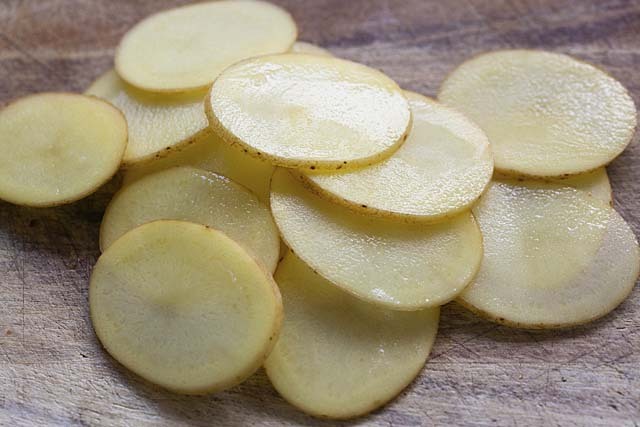 Slice the potatoes into thin slices of 1/16-inch-thick. 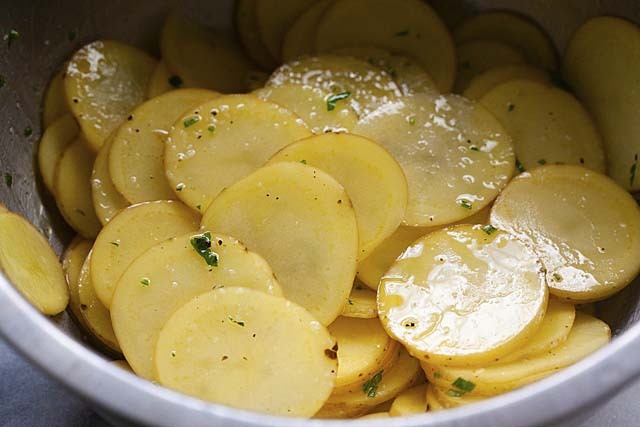 Season the sliced potatoes with unsalted butter, olive oil, salt and herbs. Stacking up the potatoes in a muffin pan. Bake and roast in the oven. 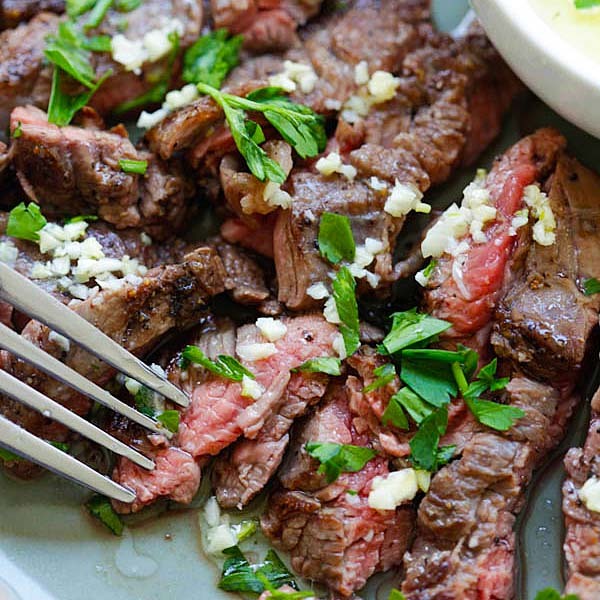 It’s a fun recipe to make and the end results are absolutely delicious and gorgeous in presentations. Tips on How to Cook Potato Stacks? 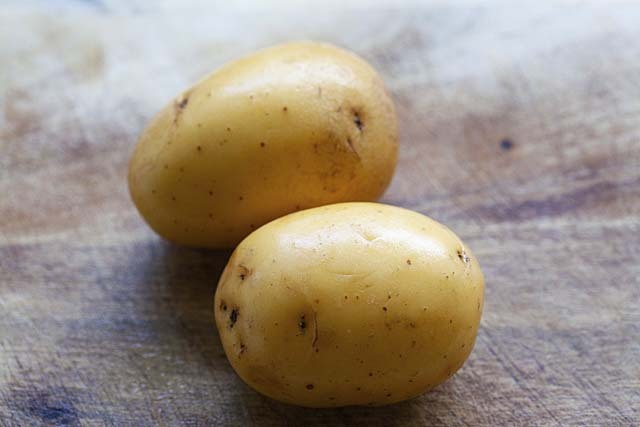 Use Yukon gold potatoes with a diameter of about 2 1/2 inches in the center. This will make sure that the sliced potatoes fit well into a standard muffin pan. Do not peel the skin of the potatoes. After roasting, the skin becomes crispy. Slice the potatoes with a shark knife evenly. This will make sure that the potatoes cook evenly. You don’t need a mandolin slicer, unless you have a blade that slice to 1/16-inch in thickness. For herbed potato stacks, I used rosemary and Italian parsley, infusing every slice of the potato with earthy and herb aromas. 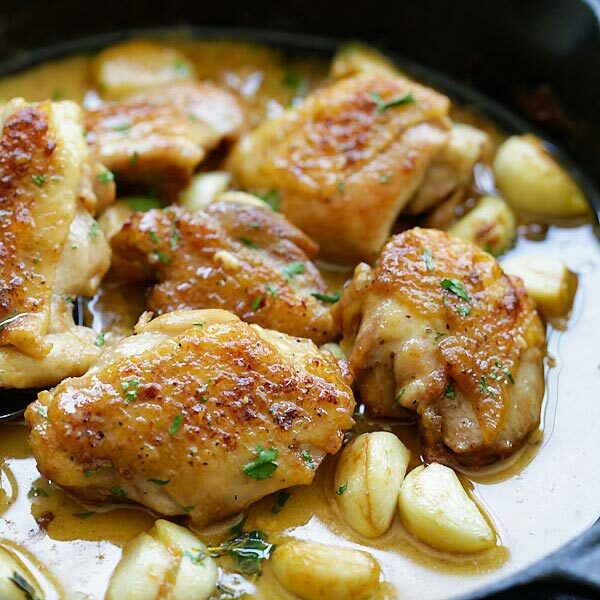 Potatoes goes well with a main dish of steak or chicken so for a wholesome meal and easy weeknight dinner, I recommend the following recipes. This recipe is a winner and yields the most delicious potatoes you’ll ever make in your kitchen. They have the crispiest tops and bottoms, buttery and very tasty. 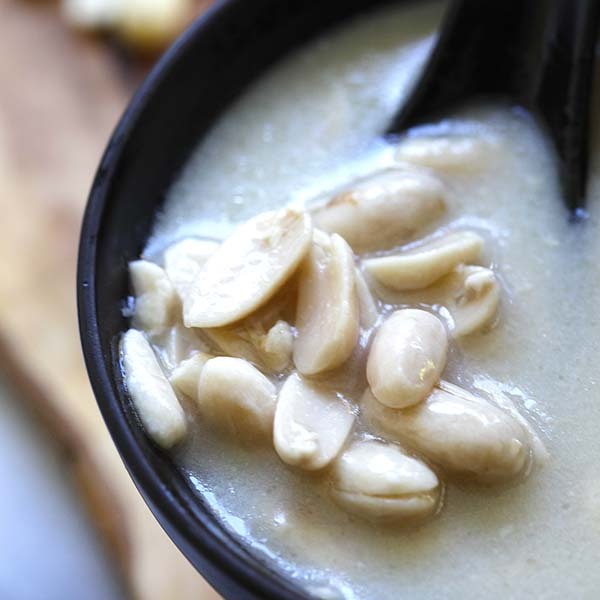 Try my recipe and you will love it. 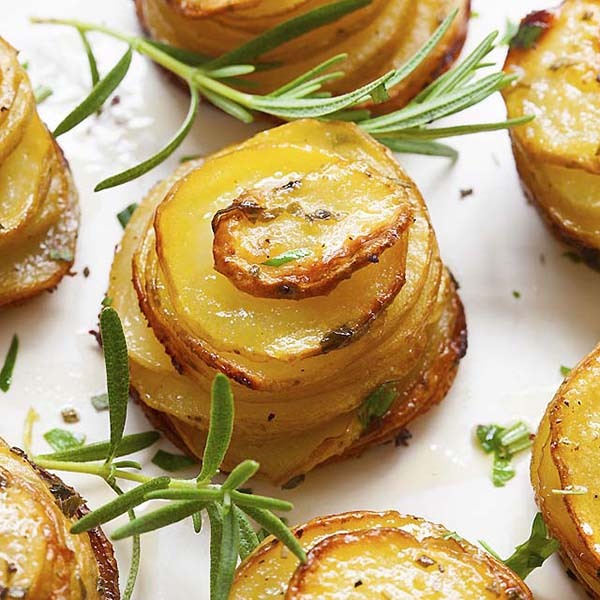 The most delicious Crispy Potato Stacks you'll ever make! The potatoes are buttery with the crispiest tops and bottoms while the center are soft and tender. Preheat oven to 375F. Prepare the potatoes. Leave the skin on. Slice the potatoes into 1/8-inch-thick slices. Add the butter, olive oil, rosemary, parsley, salt and pepper to the potatoes. 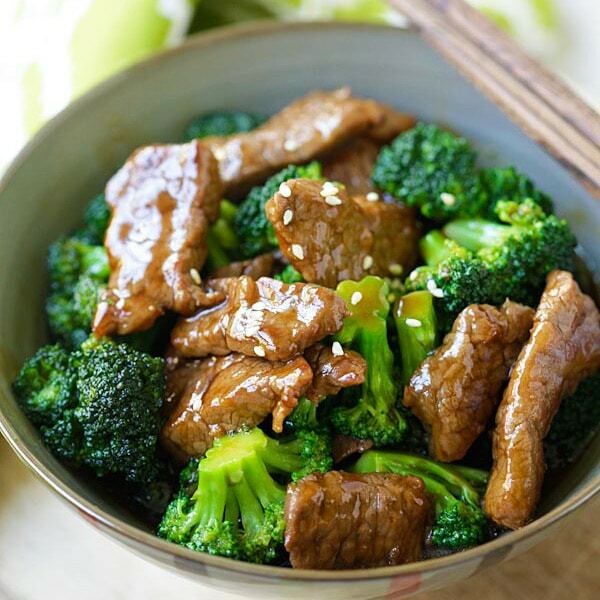 Stir to combine well. Spray some cooking spray to a standard muffin pan. You will need 10 tins. Arrange the potatoes into each tin, starting with the bigger sliced potatoes at the bottom and smaller ones towards the top. Fill the 10 cups. Baked the potato stacks for 45-50 minutes or until the edges and tops turn golden brown. 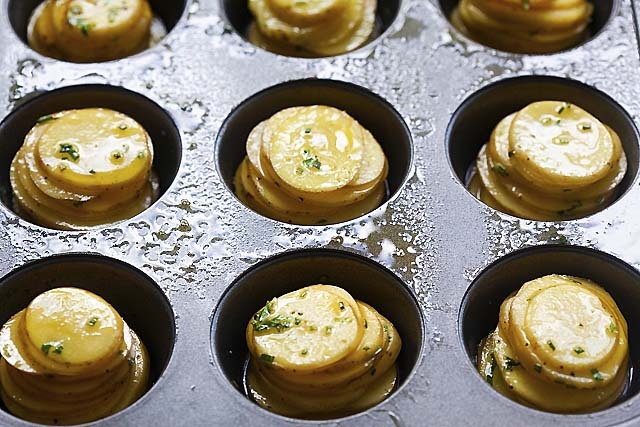 Remove the potato stacks from the oven, remove them from the muffin tin and serve immediately. OMG. This potatoes look very tasty! Totally they are absolutely delicious! 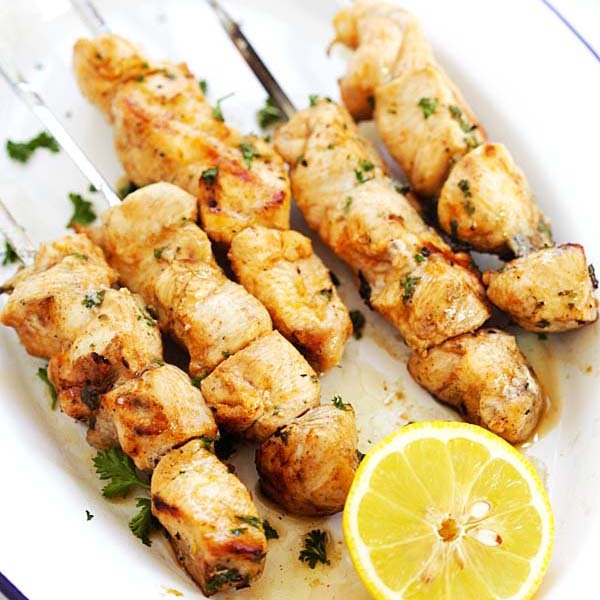 We’ve made a very similar recipe numerous times and they are always a big hit. 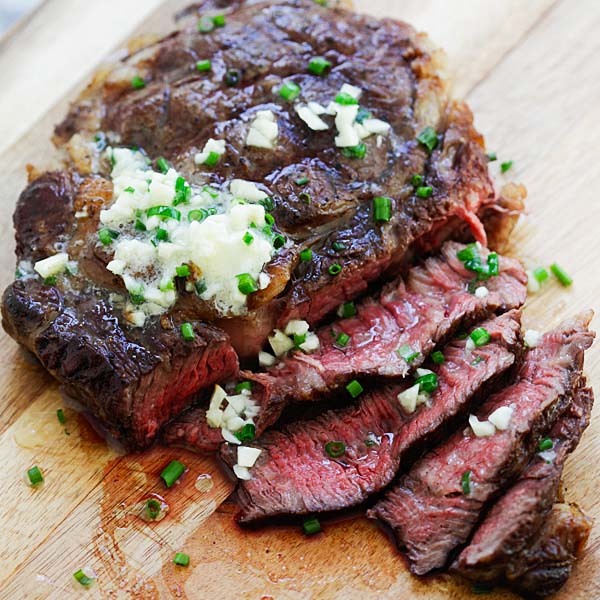 The recipe we have used called for parmesan cheese on top, which gives it an extra dimension. Will try it without the cheese next time. Hi Pom, sure you can use Parmesan cheese! Do you have a receipe for sweet potatos the same like the crips potatos? These potato stacks are just perfectly crispy and would make the perfect side dish for so many things! I WOULD LIKE TO TRY THESE TOMORROW BUT DID NOT SEE TIME OR TEMP. OF OVEN ON THE RECIPE . The recipe is at the bottom of the page, please scroll down and you will see the pink color recipe card. It has all the details! Hey, Bee, just so you know, the scroll button for this recipe isn’t working from my iPhone. Keep up the good work. 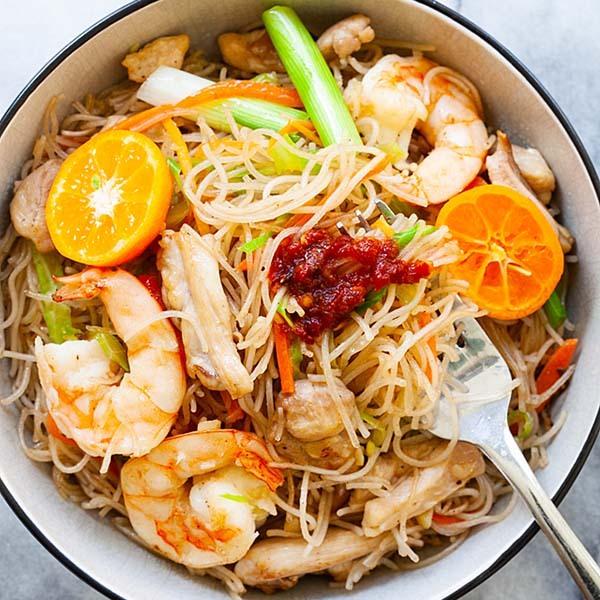 I have introduced your website to loads of my friends looking for easy and delicious Chinese recipes in particular and they always rave about how quick, simple and delicious they are!